SORRY IN ADVANCE if you’ve had terrible trouble with preparing shrimp. My goal is not to mock you. 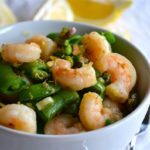 Now that the disclaimer is over, I want to just celebrate how easy I think shrimp is to make. We used to be total cheats and buy the pre-cooked ones and just heat ’em up in the pan. One day I got bold and bought the lovely gray, raw guys. AND IT WAS SO SIMPLE AND WAYYY TASTIER. If you’ve ever been intimidated, this is your turning point, people. As soon as the shrimps turn pink they’re ready. If anyone tries to tell you it has to be more complicated than that to do it “right,” don’t listen. 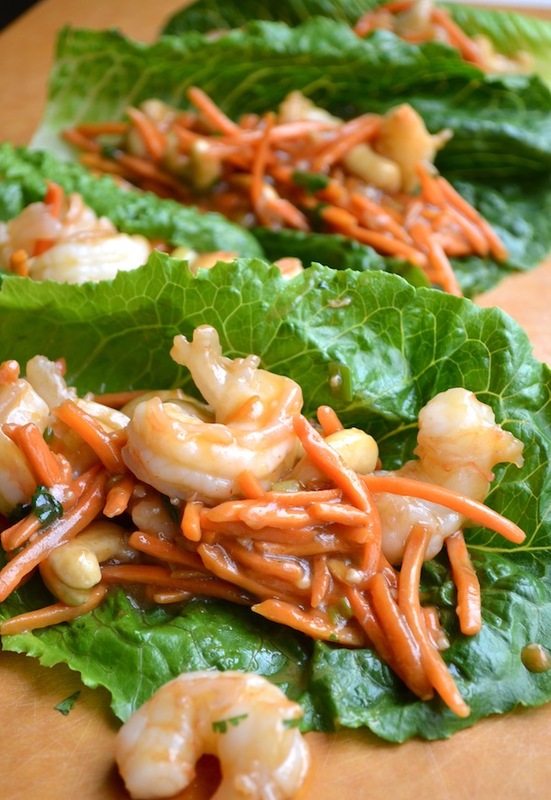 Have a go at it with these fast lettuce wraps and your crash course in shrimp will be complete. Drizzle shrimp with olive oil and cook in a skillet over medium high heat for 2 minutes. Set aside. Add cashews, garlic, green onion, and carrots to pan and cook for 2 minutes. Meanwhile, whisk together soy sauce, red wine vinegar, sriracha, sesame oil, corn starch, and honey. Add sauce, cilantro and shrimps to skillet, cooking for about 3 more minutes, or until shrimps are pink. 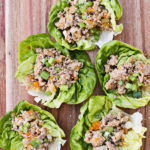 Serve in romaine leaves. 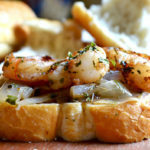 Drizzle shrimp with olive oil and cook in a skillet over medium high heat for 2 minutes. Set aside. 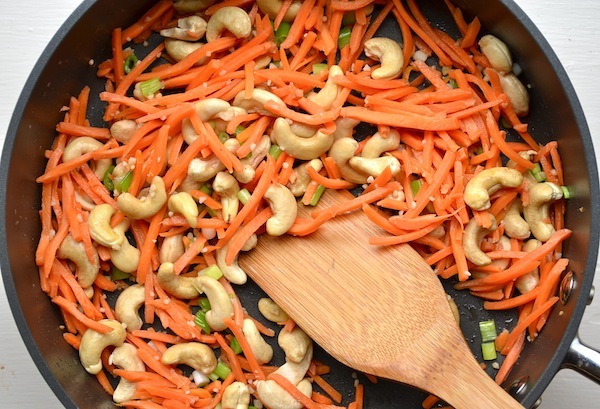 Add cashews, garlic, green onion, and carrots to pan and cook for 2 minutes. Meanwhile, whisk together soy sauce, red wine vinegar, sriracha, sesame oil, corn starch, and honey. Add sauce, cilantro and shrimps to skillet, cooking for about 3 more minutes, or until shrimps are pink. 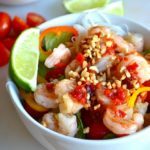 How much shrimp should be used in this recipe? I don’t see the amount in the ingredient list.